Now Meghan Markle's Half-Sister's Ex-Husband Is Weighing In! Remember Meghan Markle’s half-sister, Samantha Grant? The one who is reportedly writing a tell-all about her relationship with Meghan called The Diary of Princess Pushy’s Sister? It’s been a while since we’ve heard from her (maybe because she ran out of third-tier media outlets to talk to), but thanks to some intrepid Mirror reporting, we have a new sorta-relative of Meghan’s to obsess over: her half-sister’s ex-husband, Scott Rasmussen! He calls Samantha “pushy” and described her as “the last person who should be at Windsor Castle.” And as for whether or not she should even be invited—something the tabloids have loved speculating about in the past—Rasmussen says his ex-wife “should be sent to the Tower of London” if she steps foot in England. This man has thoughts and he wants you to hear them! 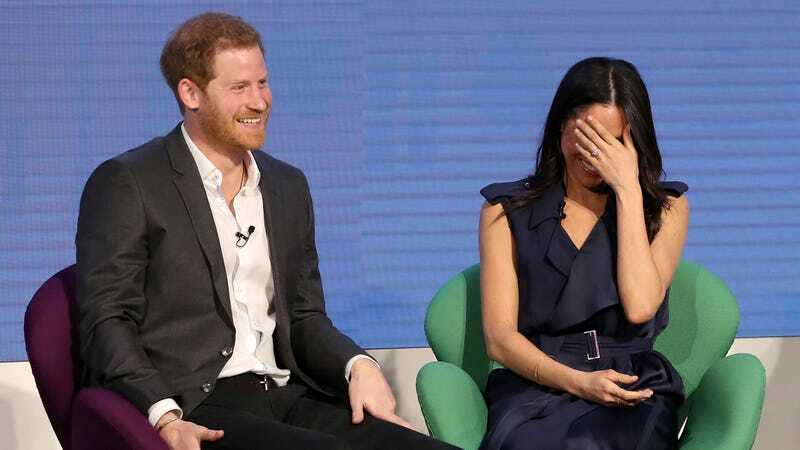 It’s fun to imagine what your extended family would say about you to the tabloids if you suddenly became engaged to a member of the Royal Family. I’m sure like 80 percent of people would be dealing with...exactly this! This next story, about Michael B. Jordan, is about as 2018 Internet as stories come, so bear with me. A teen named Sophia found out via a Twitter meme that her orthodontist has a Tumblr in which he revealed that an anonymous patient “came in for an emergency visit because she snapped the wire on her retainer watching the movie when [Michael B Jordan] took his shirt off” and when she tweeted about the meme, it went even more viral to the point that Michael B. Jordan himself saw it and replied to Sophia offering to replace the retainer the end Michael B. Jordan is a nice guy and the internet is fun. I like this photo of Liev Schreiber walking his dog while carrying a new sander.